Eggleston Motorsport has continued its rapid expansion for the 2013 season, securing the last Triple Eight-built Commodore VE II as campaigned by Tekno Autosports and Jonathan Webb in 2012. 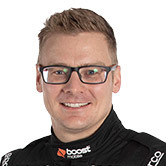 The team has signed well-known racer Jack Perkins to steer the new addition, the sister car to the #38 Wilson Security car campaigned by Daniel Gaunt at the Clipsal 500, which is currently the lead Holden in the series. The car will spend a few days at the team’s base in Melbourne before heading to Perth for Round 2 of the Dunlop Series next month. “We are thrilled to now have the complete the set!” Team Manager Rachael Wagg said. “Tekno was never planning to sell this car but after Clipsal decided they would be happy to make it available to our team as it made sense for us to have the pair. “Together with Marque Management we are very determined to be the benchmark organisation in the Dunlop Series and have invested in the best equipment, plus experienced drivers and crew – including new ex-FPR and SBR engineer Dan Kroehn – to create the best possible package and set a solid foundation. “We are very much looking forward to welcoming Jack to the team and have no doubt he and Dan will make a formidable combination. Perkins is equally excited to be joining the expanding operation. 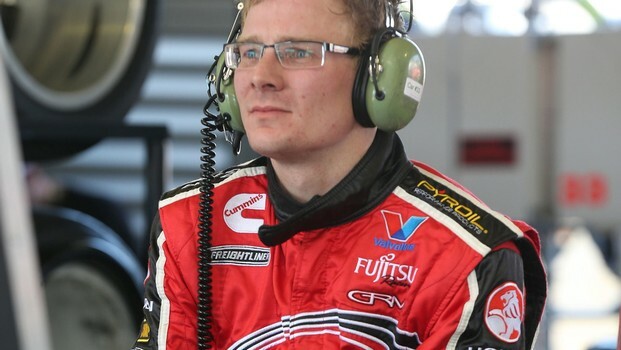 “I'm really thrilled to get back into the Dunlop Series,” Fujitsu Racing GRM endurance racer Perkins said. “With the Fujitsu GRM boys doing so well this year I felt it was really important to get in some competitive racing miles before the enduros, but it needed to be in the best equipment available. “I can't thank Ben and Rachael from Eggleston Motorsport enough for giving me the opportunity to race the new car at Perth in a couple of weeks, and I'm looking forward to having a drive of it in practice. In his last full-time season in the Dunlop Series in 2011, Perkins finished runner-up in the championship, won the Privateer’s Cup and scored two race wins. Round Two of the Dunlop Series will be held at Barbagallo Raceway in Perth on May 3-5 with coverage included in Seven’s telecast of the Chill Perth 360 on the Saturday and Sunday.